The twenty-three year old British jazz/soul singer and songwriter Amy Winehouse has surprised the audience greatly for the first time when her debut work Frank was released in October 2003. The music and the young artist’s voice immediately enraptured the listeners both in Europe and the USA and at the same time many have admitted that Winehouse’s lyrics are at times really far from decent. Nevertheless the album got nominated for Brit Awards in two categories in a row and for Mercury Music Prize, it went platinum in sales, and Amy got invited to perform at popular British festivals. Her second album Back To Black has been released this October and was mainly inspired by producer Mark Ronson, who together with Salaam Remi made the production of the album. As on the debut album, on Back To Black Amy Winehouse reveals herself as a quite frank person, who is not afraid of disclosing her personal mishaps including struggle with alcohol and a breakup from which it has been hard to recover. Due to the singer’s husky voice that causes the audience’s endless admiration she’s forgiven for all the scandals surrounding her and predict the fame of Aretha Franklin. One of Amy Winehouse’s mostly evident quialities is surely the absence of shame, and her lyrics on Back To Black is filled with the intimate details of her personal life. Nevertheless it also pleases with witty rhymes, interesting metaphors and word play. 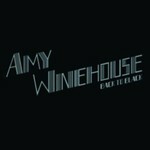 The opening single Rehab starts with a powerful introduction, accompanied by tubes and gradually grows into a rhythmic jazzy composition telling about Amy’s unwillingness to get a therapy is a rehabilitation center. You Know I'm No Good is remarkable for the change of melody by the end of the song, reminding of a planned improvisation, and Me And Mr Jones (Fuckery) is a funny retro track, which could be a classy jazz if it were not for the choice of words. Just Friends is a slower track, on which Amy’s singing is one of the most complicated and the song surprises with unusual jazzy disharmonies. The title composition Back To Black is one of the album’s highlights, a real anthem to failed relations, filled with jealosy, despair and darkness. Love Is A Losing Game sounds more like a ballad due to the piano featured instrumentation and awakes an image of a restaurant singer, and Tears Dry On Their Own finds Amy performing a song that can be even danced to. Wake Up Alone is based on a classic soul sample, but is far from simple for its tune is quite difficult to imitate. Some Unholy War is refined by a choir in the background, giving the basic line, and the closer Addicted is one of the toughest creations on the album, again with disbalance between the vocal part and the accompaniment. Amy Winehouse grew up listening to a vast variety of music and got her first guitar at the age of 13. When she was 16, one of her friends persuaded her to go into singing professionally, and this turned out completely justified. The audience compares Amy’s voice to those of Sarah Vaughan and Macy Gray due to its huskiness but it certainly has its own features that make it absolutely unique. Besides, the material she performs speaks of her mature views and brave conduct, and various events in her life have found reflection in music she composes. The audience is greatly impressed by the fact that such a young singer has a voice that might belong to a woman twice older than her, and besides, the press has several times mentioned the scandalous misbehavior during different solemn occasions. This witnesses, however, that Amy Winehouse is an eccentric person, with a non-standard and a very creative mind. If she was more decent she would probably be unable to create such splendid inimitable music and nobody would learn of her existence at all. Luckily, she is what she is, and album Back To Black is a superb breakthrough of hers. Call her strange, insane or a drunkard, one thing is clear: she is definitely extremely talented.